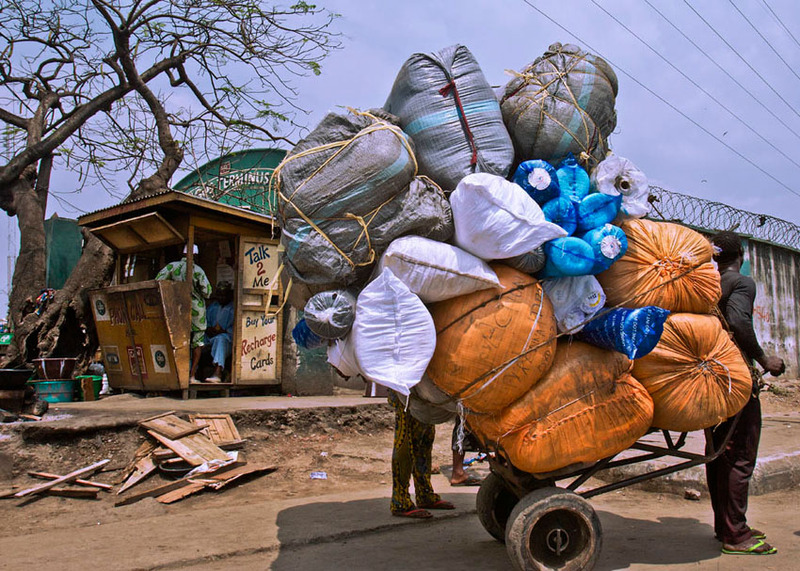 Lagos - Cart pusher moving tones of goods from the Iddo terminus market. The market is popular for transitional trading. This has made it a hub for many new comers in Lagos.